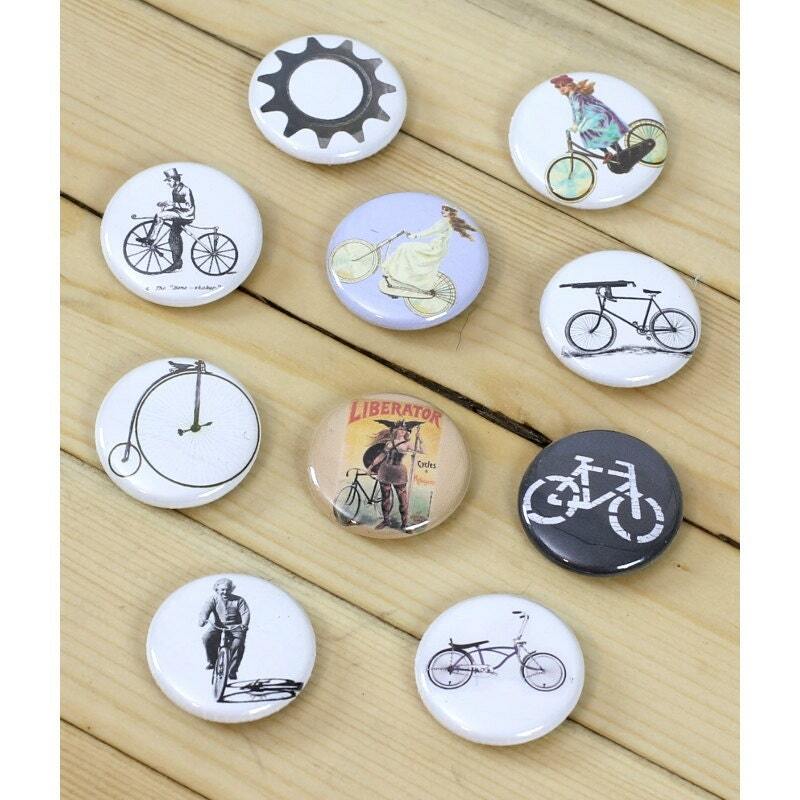 Hungry Knife and CycleBy Gear CycleBy Gear's 10 button collection: Einstein, Bike Lane, Lavendar Lady, Gun Bike, Pennyfarthing, ScraperBike, BlueBell, Cog, BoneShaker, and Liberator. TEN Hungry Knife 1” buttons! 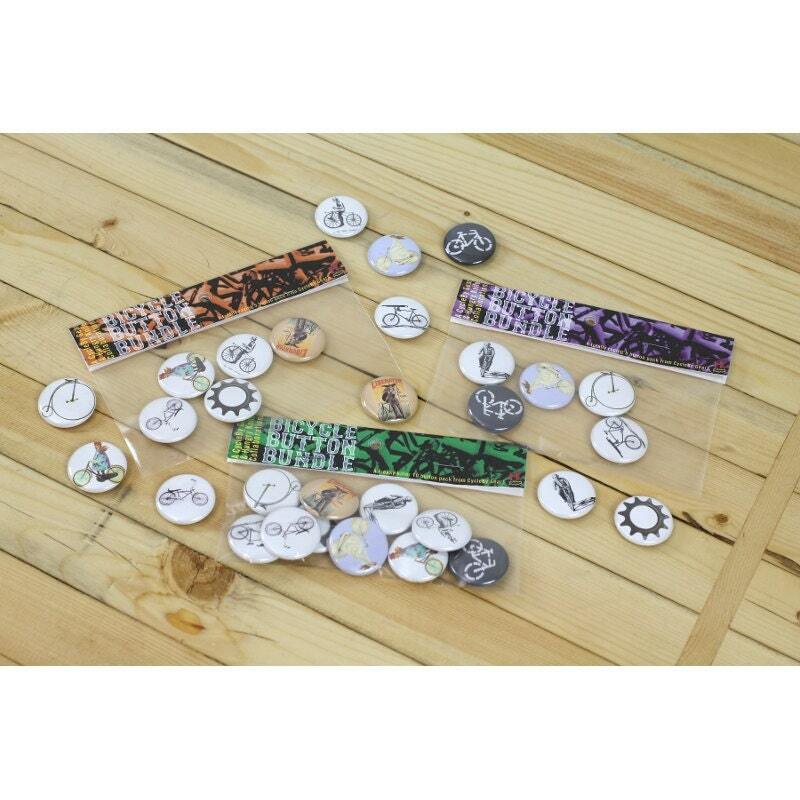 All buttons are always in stock because we make them here! 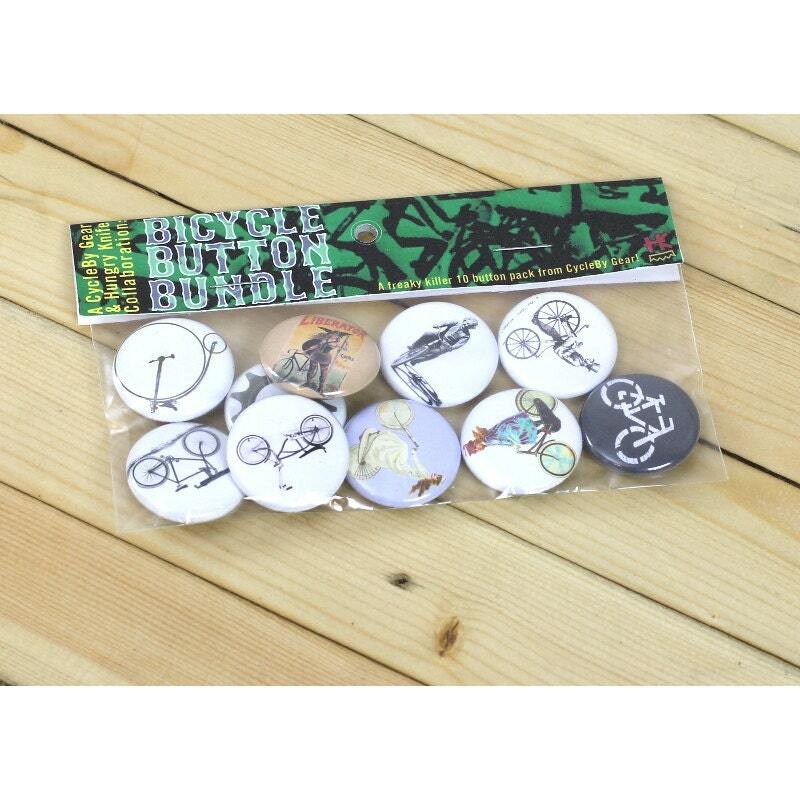 Our excellent button machine also makes fridge magnets! If you prefer this design as a 1 inch magnet you can select that option for no additional charge. Check out the alternate photos for a visual size reference.